This is Part #10 in The Flow Chemistry Collection, a regularly-updated round-up of the best content on flow chemistry, including blog posts and commentary from thought-leaders on a number of flow chemistry topics. Be sure to subscribe to be kept in the loop on future updates. 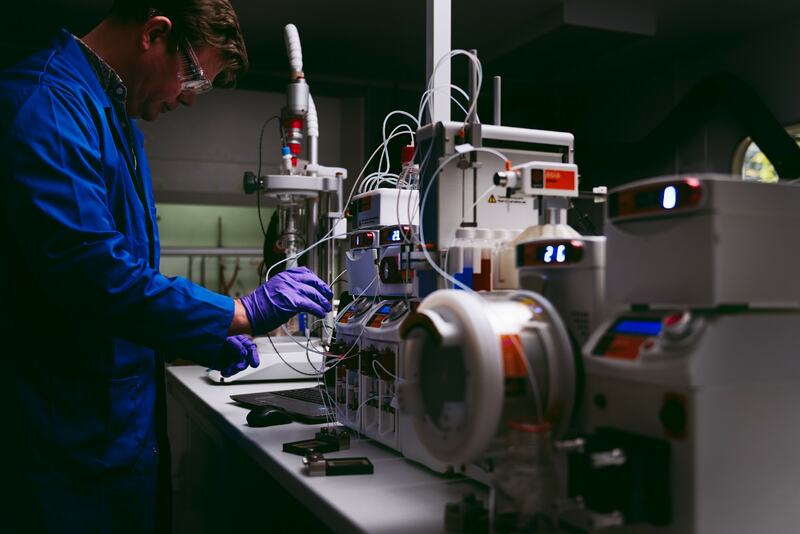 Sometimes the biggest hurdle for chemists adopting flow chemistry is the time it takes to convert a batch process into a seamless flow set-up – but it doesn’t have to be! Whether you want gradual or immediate adoption, this post covers the 7 main things you should consider when you are looking to convert your batch process into continuous flow. We know chemists are inquisitive creatures and love to discover things for themselves, but we’ve been helping chemists implement flow chemistry since 2001. We’d love to discuss your applications and whether they’re possible in continuous flow; don’t hesitate to contact us to chat to an expert! 1. What is your application and is it suitable for continuous flow? There’s a library of publications from chemists using continuous flow techniques to perform a wide range of different chemical reactions. If it can be done using traditional chemistry, it can often also be achieved using flow chemistry. While many chemists are performing their entire process in continuous flow, It’s worth bearing in mind that some reactions may benefit from a combination of continuous flow chemistry techniques and traditional batch techniques. 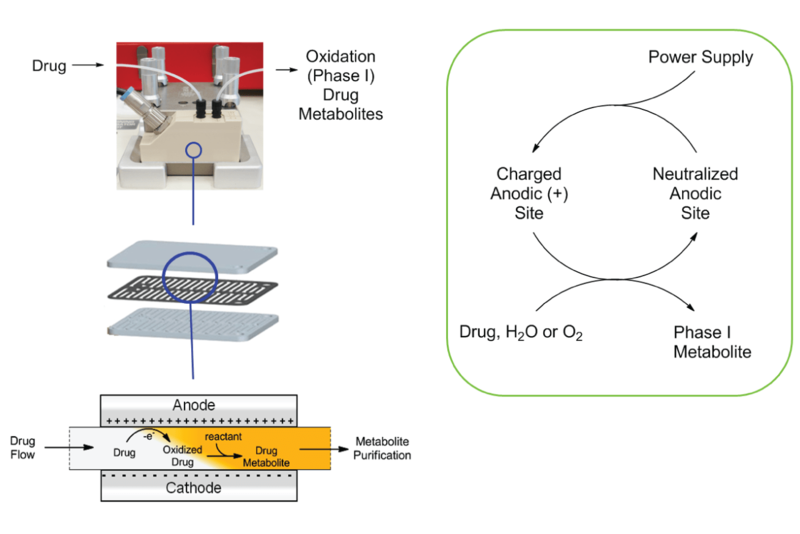 This combined approach may offer the best of both worlds, enabling you to perform specific portions of a reaction pathway in flow, rather than the entire process. Synthesis to and from intermediates to be used in batch processes downstream for example is common. Compared to the traditional methods of dosing dangerous reagents into the entire contents of a round-bottomed flask or jacketed reactor, the nature of flow chemistry – reacting small quantities continuously – means hazardous reagents and intermediates are much more accessible using small volume reactors which limit risk. Just the mention of an incredibly explosive reagent such as diazomethane is enough to grab the rapt attention of most chemists – but continuous flow makes it incredibly safe as you create tiny quantities of it continuously as demonstrated by Oliver Kappe and his team at the University of Graz – access the fascinating paper here. (If you’re unaware of just how much diazomethane makes chemists quiver, read this blog post!). 2. What would you like to achieve using continuous flow chemistry? Are you looking to synthesize product(s) anywhere from small scale to pilot to manufacturing scale quantities? All possible in continuous flow. Imagine flow chemistry as a tap; turn it on and you can fill a cup, but leave it running and you can fill a bath. Of course, the equipment required as you step-up or down each scale will vary – for example, manufacturing-scale synthesis will require pumps that can handle very high flow rates to achieve more product in smaller amounts of time – but the principle remains the same. A common misconception is that continuous flow chemistry is inherently slower than performing a batch reaction because the quantity of reagents reacting at any one time is small. In reality, the increased pressures and temperatures flow enables can significantly reduce the time required for each reaction, as well as enabling much faster reaction optimization (as explained below). Batch chemistry reactions can be laborious to optimize, often requiring several vials/round-bottomed flasks/jacketed reactors, each with changes in the reaction conditions. In continuous flow, you use automated liquid handling modules, such as the Asia Automated Reagent Injector, along with automation software, to automatically run 10s-100s of reactions on one system. Would you like to analyze a sample immediately after it is produced to ensure you are creating the right product? Continuous flow systems offer the capability to perform inline sample collection, dilution, and injection directly into your preferred online analysis method. Depending on your set-up you are not limited to just one. 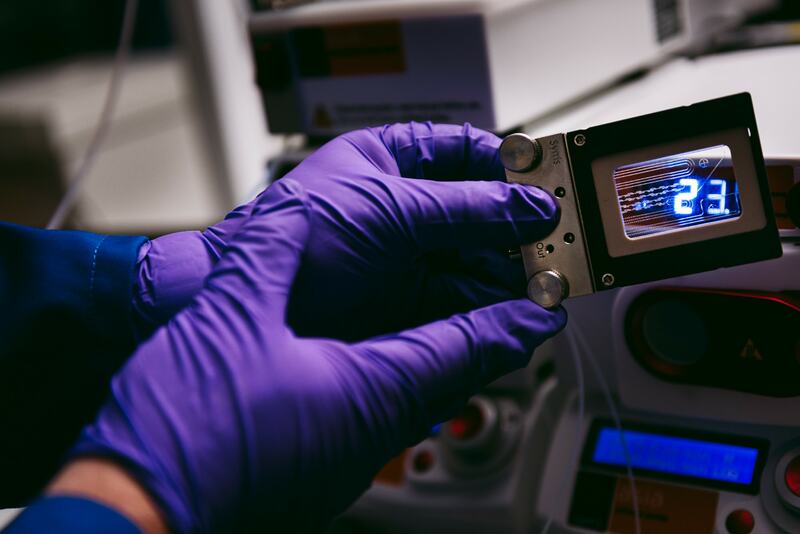 There are many application areas to explore around and within these areas including flow electrochemistry, photochemistry, or In-line workup. Thanks to the huge library of papers now available using flow chemistry across a wide range of applications, there’s a good chance that similar chemistry (whether it’s direct application, methodology, or both) has already been performed. Browse as much literature as you can, and use this wealth of information to help improve the initial idea and design of your experiment going forward. Download a list of recent continuous flow publications using the Syrris Asia Flow Chemistry System. Flow chemistry pumps, pressure, the reactor(s), and some form of manual or automated collection, are the main components of a flow chemistry reactor system. Each parameter of your chemistry that requires precise control is important in considering which components you will need to add to this and ultimately the final design; view the full list of the available flow chemistry components here. What flow rates will you need to obtain the residence times your chemistry requires? 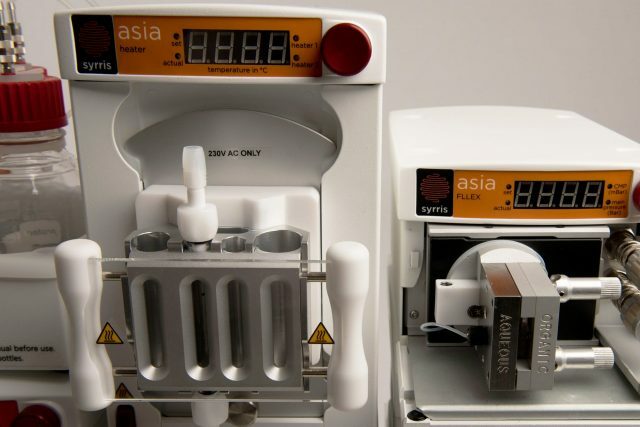 The Asia Flow Chemistry Syringe Pump offers highly accurate flow rates from 1 μL to 10 mL/min, enabling both extremely long and extremely fast residence and times. The design of the pump plays a role as well; syringe pumps provide significantly smoother flow at ultra-slow and fast flow rates and no cavitation compared to peristaltic pumps, for example. How long does your chemistry need to fully react? Glass microreactors offer very high temperatures but relatively short residence times, whereas tube reactors offer much longer residence times but generally lower temperatures (unless stainless steel is used). Column reactors enable the use of solid phase catalysts in your chemistry if required. Operating at pressure enables far higher solvent boiling points, enabling faster reactions and opening up novel chemistry spaces. What pressure(s) will your chemistry require? Will you be working with gases, and/or air and moisture sensitive reagents? What kind of in-line work-up or analysis will you be performing? 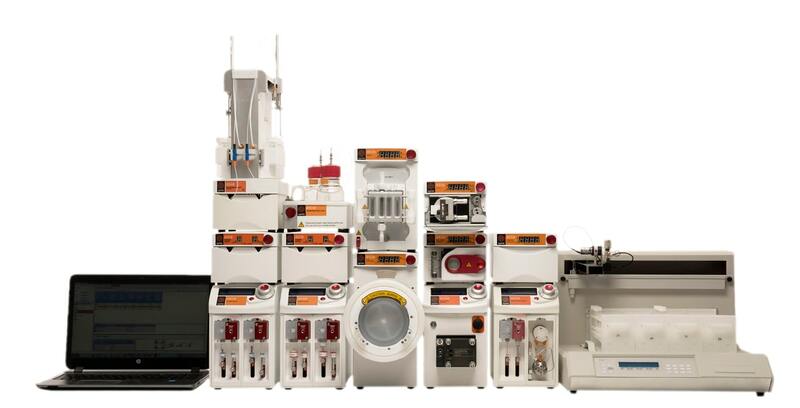 Many continuous flow chemistry systems enable the use of in-line work-up and analytics. For example, the Asia FLLEX (Flow Liquid-Liquid EXtraction) Separator Module is the flow chemistry equivalent of a separatory funnel. Operating continuously, this aqueous workup/extraction module initially mixes the organic product stream with an aqueous phase, then allows time for diffusion to occur before finally splitting the flow back to its constituent parts. It also enables you to separate two-phase mixtures that would be extremely difficult by typical techniques e.g. THF and an aqueous phase, thanks to the use of advanced membrane technology instead of gravity. The Asia Sampler and Dilutor (SAD) Module enables on-line reaction analysis by offering automated sample extraction, dilution, and transfer to virtually any LCMS, GCMS, UPLC, etc. without stopping the experiment. Once you’ve decided which components you need for your chemistry, it’s time to build your system. Simply set-up each of your separate components and connect them using tubes, and then you’re ready to go. Prime your flow system and ensure you avoid leaks! Leaks result in losing solvents or worse, precious reagents, lowering the pressure of your system and introducing air/contaminants. Any of these are detrimental to the smooth running of any flow system. The effectiveness of reactions can be surprising for first-time continuous flow chemists. If your product is susceptible to crashing out of solution, this can happen inside the reactor and blockages can occur. Clearing a blockage isn’t particularly difficult but can be annoying so is best avoided. Increasing concentration is something that can be done during optimization, and it is better to start too low than too high. Now you have an exciting new set-up available, for the most eager users out there it is tempting to test the maximum performance of your system straight away. You may come out with less than ideal results, but it is good to become comfortable with the processes that occur and ensure that reactions are safe. (Although, I have yet to meet anyone running at 250 °C and 20 bar who wasn’t a little bit cautious regardless of experience). Have you finished your initial experiments and noticed the yield of your product is not as high as you would like? Now begins the optimization stage: concentrations, temperatures, pressures, residence times, and many more variables can be adjusted. All parameters will have an effect, so based on the initial chemistry and your system’s capabilities you can decide which are the best to change. Many flow chemists choose to change one parameter at a time to analyze the effect of each. 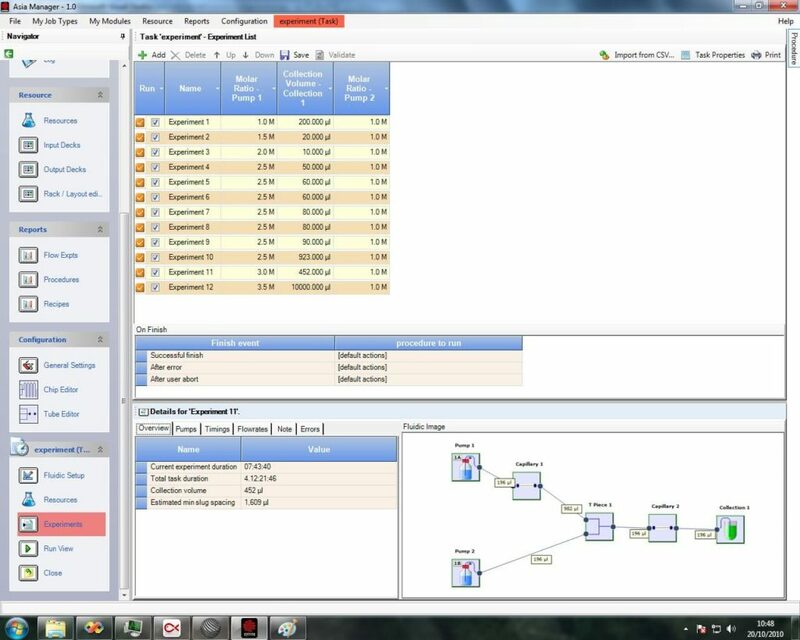 Using Design of Experiment (DoE) software allows you to create a matrix of experiments which can alter specific parameters automatically and allow easier observation into the effect of each change. With time and experience comes confidence, and with confidence comes great chemistry (and with great chemistry comes the chance to be published!). 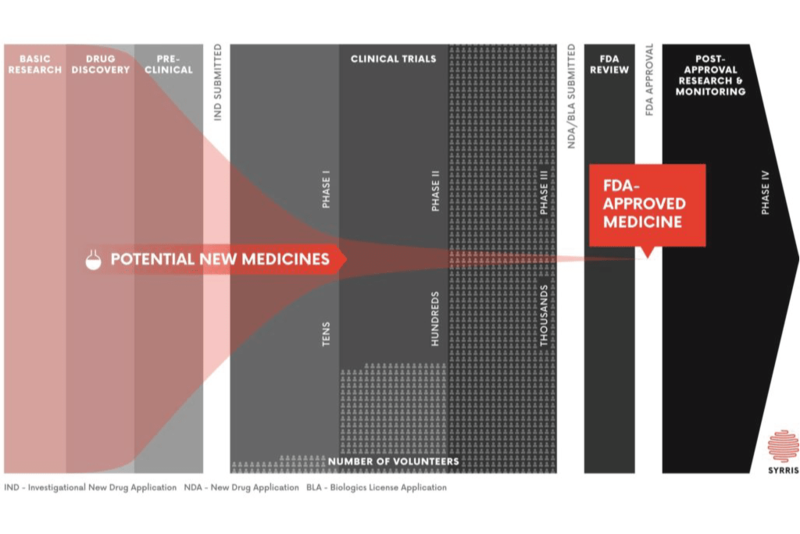 We’ve been helping chemists to implement continuous flow chemistry into their labs since 2001. If you’re considering implementing continuous flow techniques into your lab, or even if you’re already working in flow but looking to improve your results, simply fill in the contact form and an expert will get back to you. 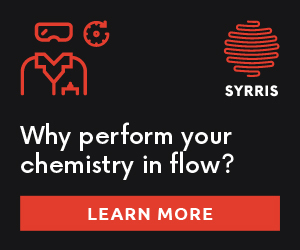 As a Flow Chemistry Technical Specialist for the Syrris Support Team, Neal is responsible for installing Asia Flow Chemistry Systems in client sites around the world, helping chemists overcome issues, and enabling chemists to get the most out of their flow chemistry equipment.